Tonight I am sitting back and enjoying my view of Mason jars filled with chopped pineapples. Oh how those yellow chunks make this mama so happy. 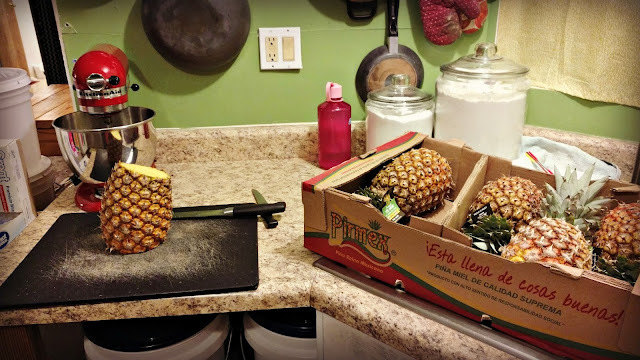 Canning pineapples is one of the first things I learned to can. My sisinlaw and I learned at the same time. We were very eager to fill our pantry shelves with homemade goods. That was a few years ago. I canned so much pineapple that first night, I haven't needed it since. Now that we were finally running low, I decided to take advantage of Bountiful Basket's add ons and order a case to can. I went in with a friend, which kept our cost down. I only wanted to add about ten jars to my food storage, since my family does not go through pineapples as quickly as other fruit. We paid $14.50 for one case of pineapples. It was 22 lbs. My friend and I each paid $7.25 for the case. 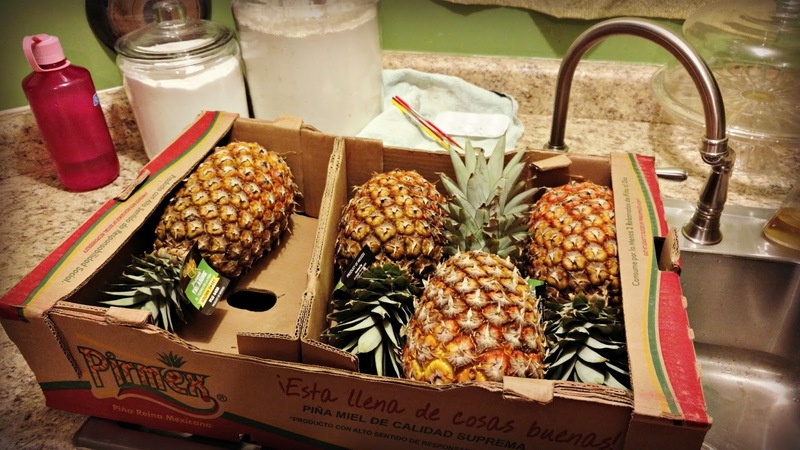 We were able to get 21 jars from those pineapples, making each pint only cost 69 cents. She took home 10 and I took home 11. 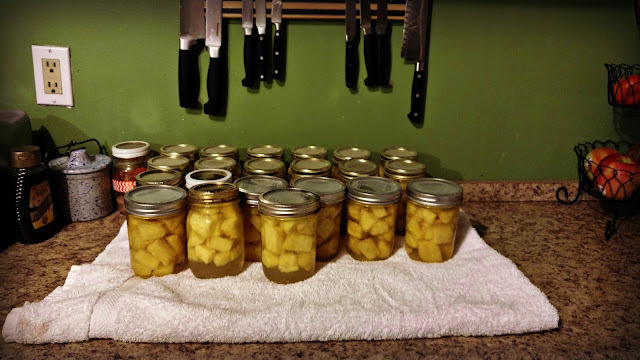 We raw packed our pineapple chunks into hot, sterilized jars. I sterilized my jars in the oven like last time. We then poured hot water over the raw pineapples, added the lids and rings, and processed them in a water bath for 15 minutes. We did three batches, which gave us plenty of time to chat. That's why I love canning with a friend. You can catch up and it makes it go ten times faster. You can do your pineapples in a syrup, but we wanted to keep it simple. I also liked not adding extra sugar to my fruit. We will now use our pineapples in various recipes. The next time Bountiful Baskets has pineapples I might stock up again and purchase some for the freezer. I sure do like having them in smoothies and my freezer fruit is dwindling. I love being able to stock my pantry with yummy food my family will enjoy. 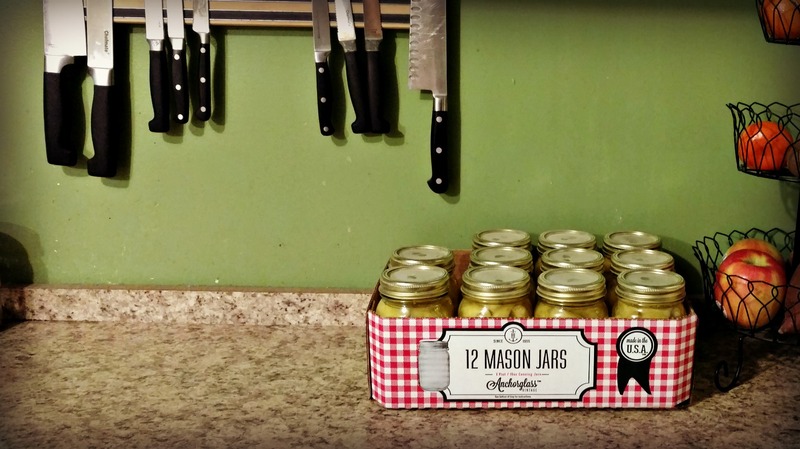 Canning has become a labor of love and a huge blessing in my life. I have plans to do jam and pancake syrup in the upcoming weeks. I'll be sure to journal it here on the blog when I do. I have found that throughout the year there can be great deals on FRESH fruit that can even beat canned or frozen prices. The problem is its not shelf stable. 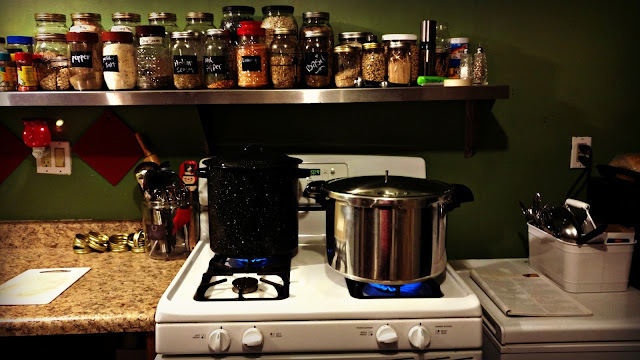 I have started freezing some of these great deals and now my eyes are opening to canning. Thanks for sharing! When I was in Jamaica they showed us how to make pineapple juice from the leftovers. Put skin rinds and tough center parts in a pan, cover in water and add a little sugar. Boil/cook for about ten minutes. When cool, drain the juice through a sieve. It makes delicious fruit juice. we used to can things with my grandmother when we were kids. They really are some of my most favorite memories. We can EVERYTHING blackberries, strawberries, peaches, veggies...pickeled eggs (they are gross, but grandpa loved them)...salsa...it is a lot of work...but its so worth it and its super fun!!! 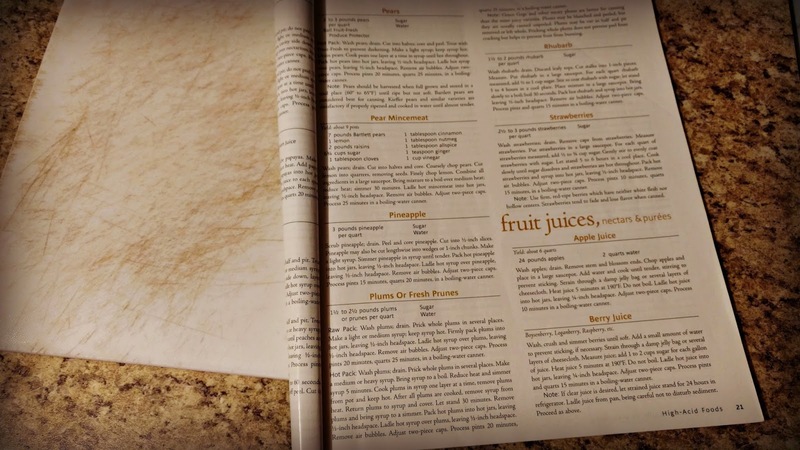 Do you keep the tops and regrow them? I usually put them in water to let them root then stick them in the sandy soil. Wow! I never thought it would be t easy. I love homemade food. oh yes and it is so yummy! 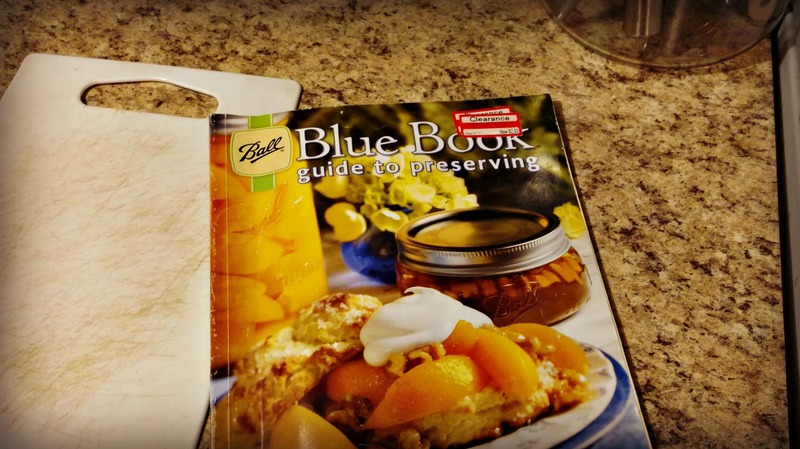 Thank you for continuously sharing your amazing homemaking skills/ideas! I'm binge watching all of your YouTube videos as I make my meal plan! I've enjoyed reading your blog for about 4 years now and I just want to say thank you for the continuous inspiration. I find your ideas very refreshing, when I'm struggling to get excited about meal planning/grocery shopping especially! Also, love you sharing what your reading!